Lenovo's ThinkPad P71 is one superfast laptop that can work with HTC's Vive and the Oculus Rift VR headsets. It's technically a workstation and is targeted at professionals creating VR content, editing movies, or running engineering applications. Headsets are needed to create VR content. The laptop, which weighs 3.4 kilograms, has a 17-inch screen and is equipped with Intel's latest Xeon E3-v6 mobile chips, based on the Kaby Lake architecture. It can be configured with an Nvidia mobile Quadro GPU like the P5000M, which aid in the content creation and virtual reality experiences. The laptop will be available in April, starting at US$1,849. The laptop by default comes with an HD screen but can be configured with a 4K screen. It also supports a Thunderbolt 3 slot. It supports up to 64GB of DDR4 memory and up to 2TB of storage via four slots. It also has a USB 3.0 port, Mini-DispayPort 1.2 slot, HDMI 1.4, and Gigabit Ethernet slots. 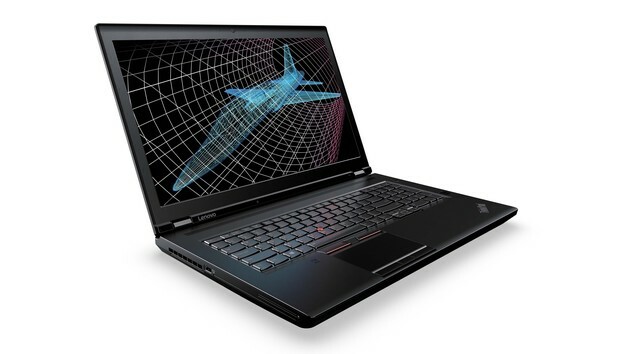 The ThinkPad P51 is similar to the P71 with a 15-inch screen, but it isn't VR ready. The P51's price will start at $1,399, and it will ship in April. Lenovo also introduced the ThinkPad P51s, which has a 15-inch screen and will run on Intel's 7th Generation Core processors based on Kaby Lake, a step down in performance compared to Xeon. It has Thunderbolt 3 technology, and it can be configured with a Quadro GPU and a 4K screen. It will ship in March starting at $1,049.